It is perhaps a leitmotif in India and Pakistan relations that any conciliation must come after a fight. Peace between the two neighbours is even more fragile than eggshells, and last week, it was in smithereens, not for the first time and probably not the last. Yet a day after India’s pre-dawn surgical strike on Balakot, voices of reason emanated from both countries, though that doesn’t guarantee that better sense will prevail. Not since 1971 has India made an incursion into Pakistan and even if India’s foreign secretary called it a non- military pre-emptive strike, for Pakistan it was a territorial violation. After Pakistan retaliated on February 27, Prime Minister Imran Khan reiterated his readiness for a dialogue. Better sense should prevail, said the former cricketing icon and issues should be resolved with dialogue and external affairs minister, Sushma Swaraj, too said India was not keen on escalation. And the return of the captured Indian pilot as “a peace gesture” portends well. If anything, the war is back in the newsrooms everywhere. However, the events of the past week have had unfortunate consequences — Kashmiri students have been targeted in some parts of India prompting a belated statement from Prime Minister Narendra Modi denouncing it. The Most Favoured Nation (MFN) status to Pakistan has been scrapped, the Indus Water Treaty (IWT) is in danger and the Samjhauta Express has been temporarily suspended. Pakistan nationals in Bikaner, a border district, were asked to return as well. Barring a few voices calling for restraint and peace, there is for the most part jubilation over the surgical air strikes and congratulations all around. All political parties in India endorsed the surgical strike and supported the government’s anti- terror operations. However, later they regretted that the prime minister had not called an all-parties meeting on the issue and 21 Opposition parties charged the government with politicising the issue, security lapses at Pulwama and demanded that the matter not be escalated after the air strikes. While political gains cannot be ruled out in the forthcoming elections, the fact is that the airstrikes were conducted to show Pakistan’s consistent inaction and denial of terror groups operating on its soil, according to Siddharth Varadarajan, former editor The Hindu, and a founding editor of the wire.in. Apart from being political, the aim of the strike was also a diplomatic and military one. The government needs to put pressure on action against the JeM though the impact of the airstrike cannot be assessed yet. Also, the truth of Indian airstrikes lies somewhere in between what Pakistan is saying that there were no casualties and the Indian claim of over 300 killed, he pointed out. There were reports of ambulances in Balakot reported on Twitter. The diplomatic objective was to tell the world it needed to back India’s stand more aggressively. By upping the ante, India has sent a message to the international community to act against Pakistan, Mr Varadarajan said, adding that it is a signal to take Indian concerns seriously and it’s not enough for the world to merely call for restraint. Air strikes by themselves are not about to end terror. The last surgical strike in September 2016 which was also kept secret till after it happened was meant to be a deterrent to terror groups, though at that time, India did not cross the Line of Control (LoC). While “non-military” is the buzzword, along the LoC, there is shelling and schools have been hit in Rajouri which is close to the LoC. A large number of arrests in Kashmir have taken place and normal life is disrupted. 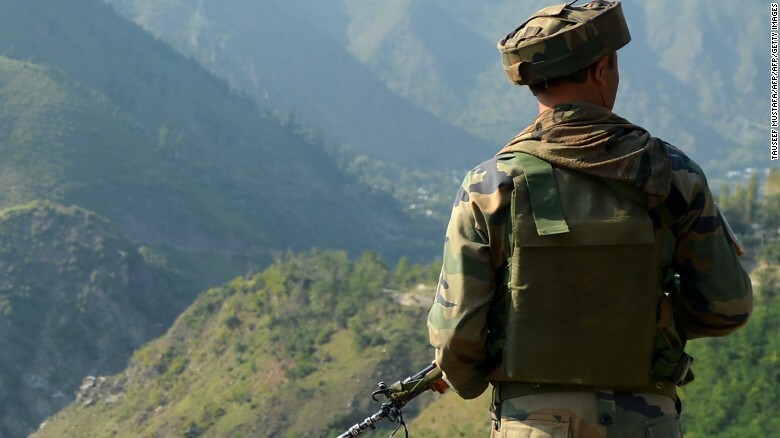 “Kashmiris are deeply concerned of this stand-off between India and Pakistan as they fear they would have to bear the brunt of hostilities,” said Sushobha Barve, executive secretary, Centre for Dialogue and Reconciliation. “The increase of violence on the LoC has affected communities living alongside the LoC, and the International Border in Jammu-Kashmir — both Hindus and Muslims. Same would be the case on the other side. They are resentful and want both the countries to settle the dispute once and for all so that they can live normal lives. We have no right to make people of the divided state hostage to India-Pakistan hostilities,” said Barve. The country is in safe hands, Mr Modi said after the surgical strike. The question is if it will sway the popular vote in the BJP’s favour in the forthcoming general elections? After the Kargil war in 1999, the Bharatiya Janata Party (BJP) did not add to its 182 seats and had to form a coalition government. Months after the November 26, 2008 Mumbai terror strike, during the general elections in 2009, terror and Pakistan were not major electoral issues. On the other hand, with the prevailing majoritarianism, Pakistan and security could be issues with some sections of the voters and the momentum is gaining ground. Already people are circulating posters for voters lauding the anti-terror stand of the government and BJP leaders are boasting of winning more seats. Yet this government may need more than that to win a landslide as it wishes to. It has to contend with the spectre of demonetisation still hanging like a Damocles’ sword, and an economy that is slowing down, apart from the unprecedented joblessness and falling incomes. The interim budget as a result provided for cash transfers to farmers and other sops. Many illusions are offered: that this war against terror will end it and secure India’s future, a future albeit where the Kashmir issue will continue to fester. The few rational voices for peace are drawing out the devastating consequences of war between the two nuclear powers and the people-to-people contacts between the two countries is in direct contrast to its inimical governments. Calls for peace from both the countries even trended on Twitter (#saynotowar) at one point and protests and gatherings are being organised, including a Global Standout for Peace in SouthAsia on March 3, in several cities. However, the need for dialogue to resolve issues between India and Pakistan hardly gets any mileage and since 2015, when a comprehensive dialogue was mooted between the two countries, there has been little or no headway. There are few times when better sense has prevailed in India, notably after the November 26, 2008 terror attack, when the government chose not to attack Pakistan despite the pressure as former National Security Adviser, Shivshankar Menon, lucidly outlines in his book, Choices. The next two months are crucial to determine whether it is peace and dialogue that will prevail or if the drums of war can win an election.